I decided to skip ahead a few UFOs and do the skirt that I actually needed. 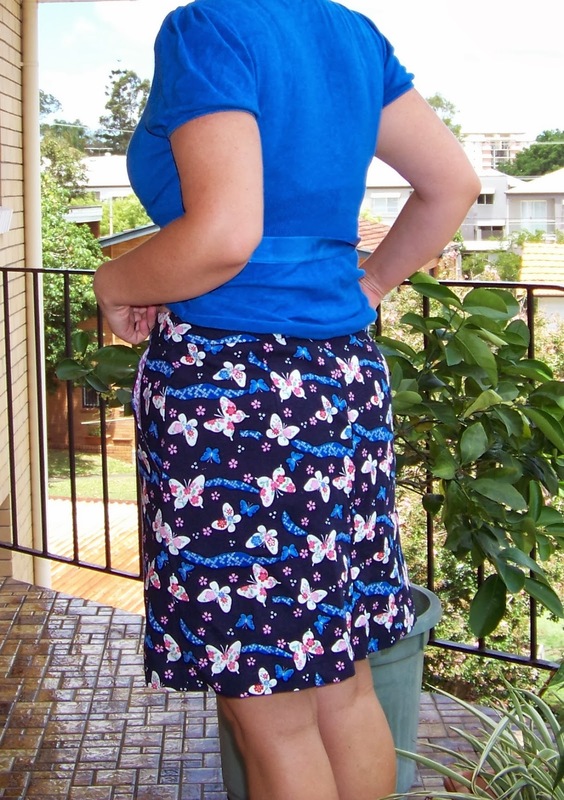 It's a plain A-line skirt with pockets from the Burda Magazine 02/2010. It's brilliant, no really, it's exactly what I needed. It fits great, it's simple and can be done in a variety of fabrics. 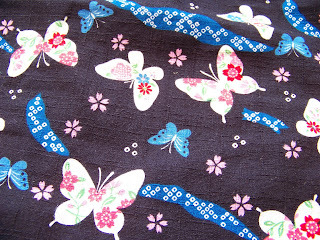 I chose a Japanese cotton with a very interesting texture, one of the first pieces of fabric that I ever bought, even before I started sewing. 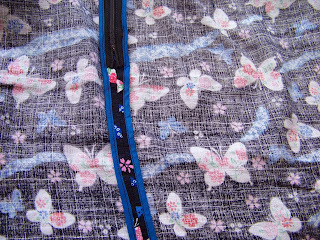 The texture is more visible on the back of the fabric. 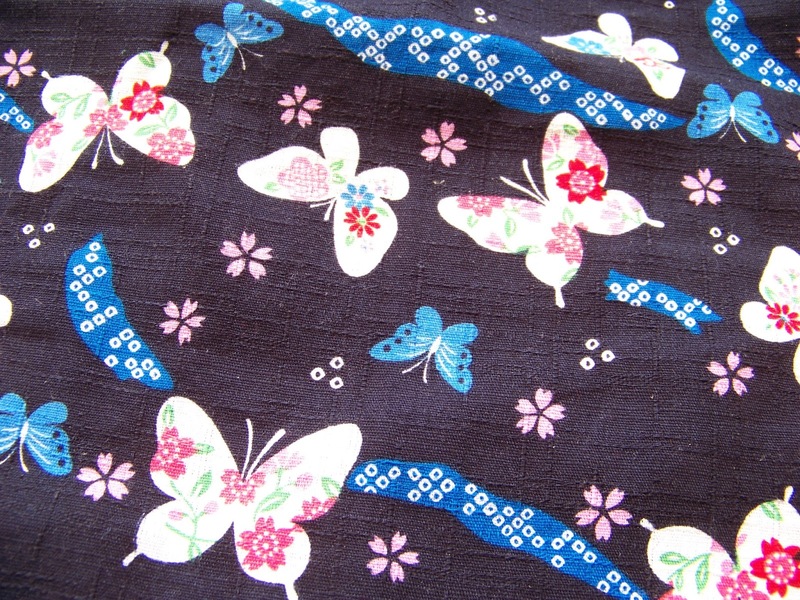 It's one of those patterns where I want to make at least another 5 right away ... hmm, maybe one with spots, and one plain one, and maybe a flowery summery one, and and and ... the possibilities are endless. Very cute! 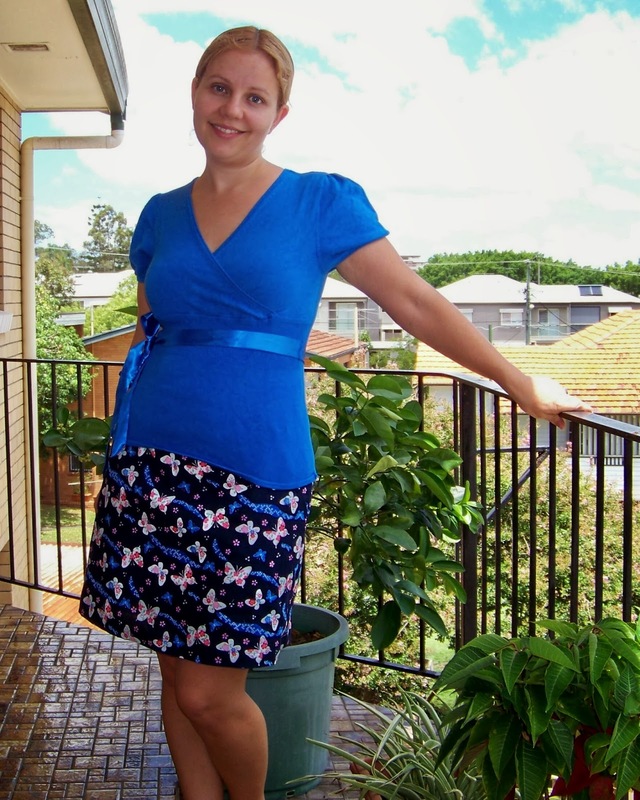 I love how your top really brings out the blue in the skirt. 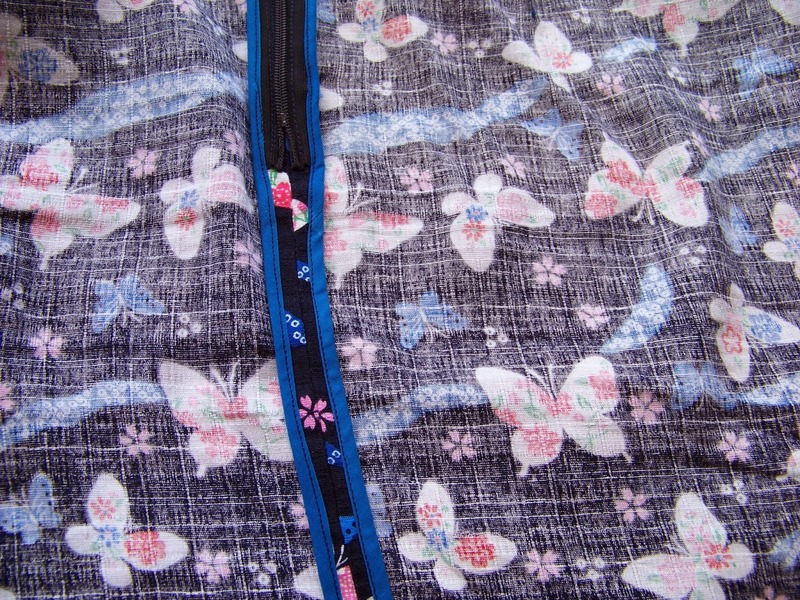 And butterflies!